Space Haven, the new upcoming game from Bugbyte! 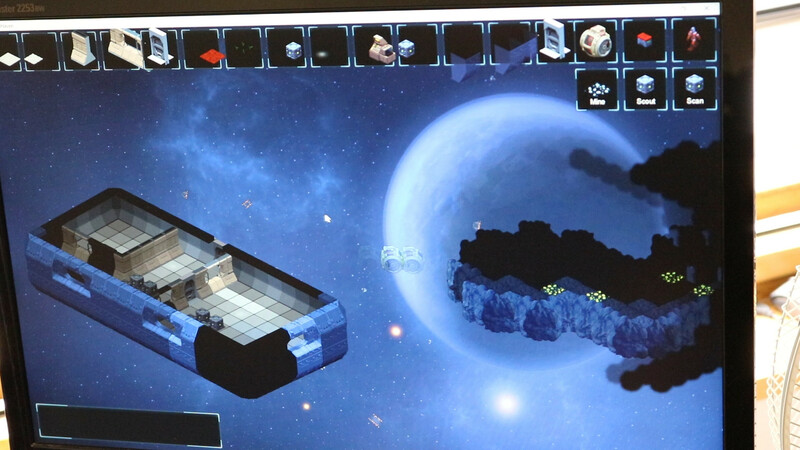 What you see above is a game starting to take shape, straight from our programmers test screen! We have been hard at work implementing building features as well as mining from asteroids. Still a long way to go but now that we can see how it is shaping up it's very exciting. Another gif showing how we are playing around with some lighting effects. We have thought about having the mining pods scan for different resources above the asteroids, and then mining whatever they can find. So, it took us some time to get a more clear picture of what we are going to do. We had discussions for months, I'm not lying! We discussed day in and day out trying to figure out what the hell we want to do. Our challenge was to find a game that we think can help us make games in the future and something we are passionate about and want to make as well. I have to say that I'm really happy with the game idea we have now, although it is going to be a big challenge to pull it off. 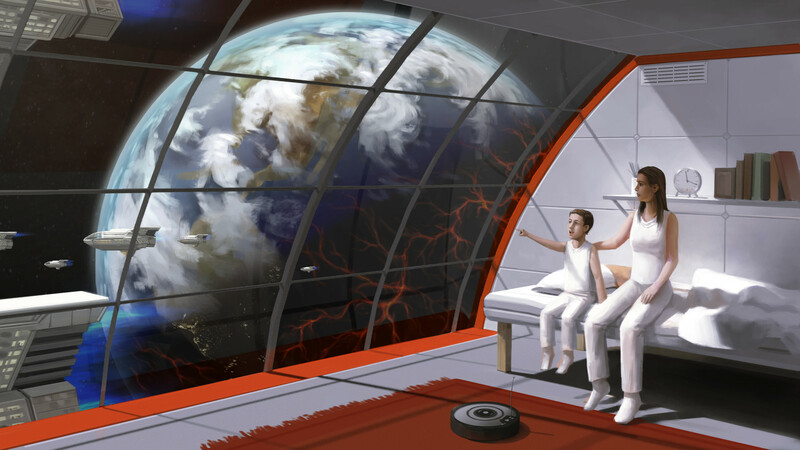 We are essentially going to make a game mix mashed from titles like Space Base df9, Banished and Rimworld. Additionally our goal is to get it working on both PC and mobile. At this point though it's safe to say that old mobile devices will be impossible to support, the device has to have some screen real estate and be powerful enough to run this game. We will, however, do our absolute best to support as wide of a range of mobile devices as possible. I'm really liking how this game is starting to look, even if I say it myself! Be sure to join our community below if you haven't done so already. And let us know what you think and if you dream up some ideas for this game, we would like to hear them below in comments! It Can't Wait to Play it. Is There a Scheduled Release Date Yet? Looks like Spacebase DF-9, which isnt bad, just hope you guys keep up the work on it. 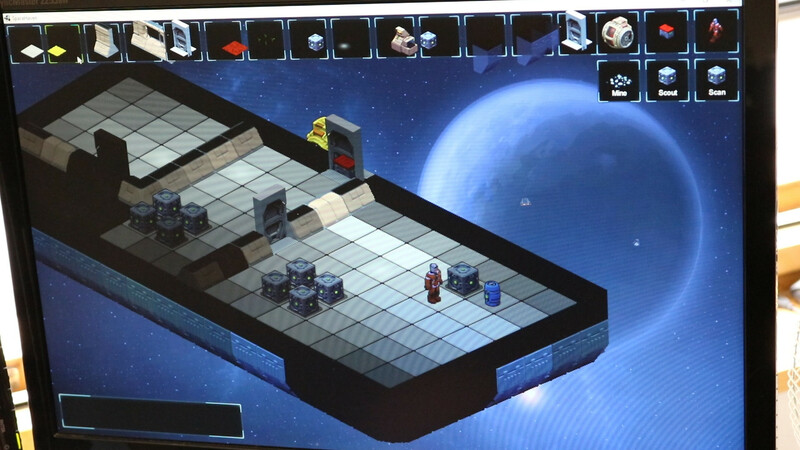 The devs for Spacebase-DF9 made it then ditched it. oh boy cant wait !!!!! BRING IT ON!!!!!! Scheduled release date: "When it is ready" for now Stay tuned! Nice one, looking good! Keep up the good work!